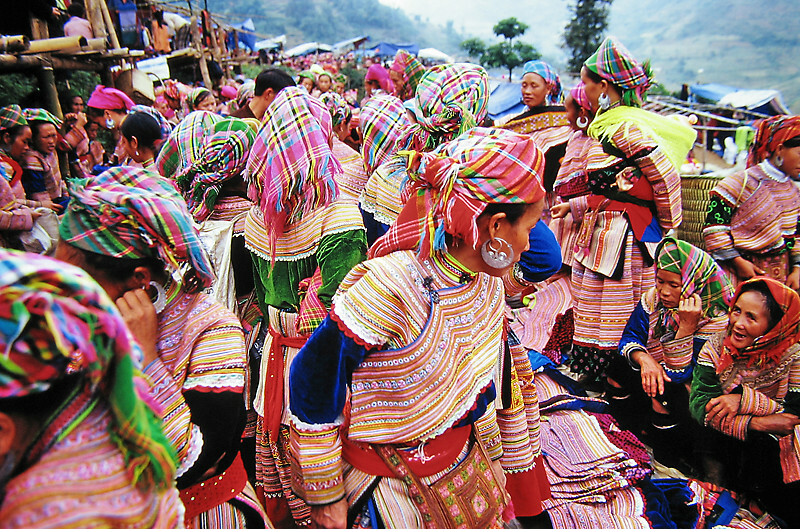 Can Cau is a busy market which is held every Saturday and is organized in business practices of Dao people. Located just 9 km south below the Chinese border, it is a colourful and vibrant market. You will find different minority peoples such as the Flower H’mong (Red H’mong), Nung, Phu La and even Chinese people from across the border. 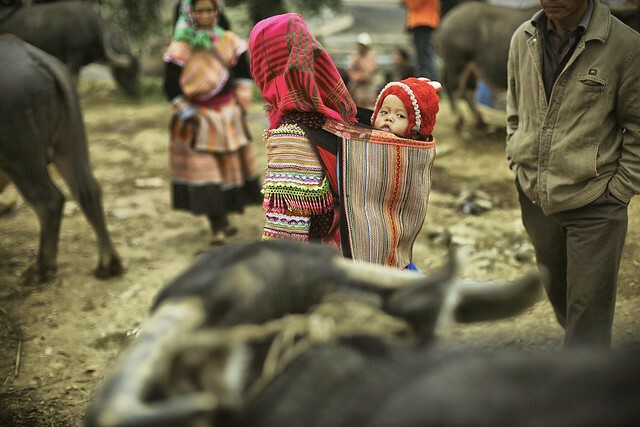 Their travel is often made by horseback as a way of carrying the heavy loads to and from market. 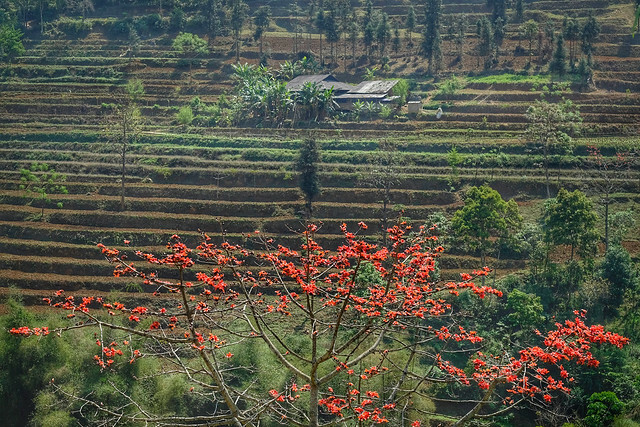 It’s hard to find foreigners in Can Cau, compared than other places or markets in Sapa, because you have to spend a large journey to come there. either with a small tour group with a private driver or, you can find more adventurous people, who make the path on the back of a motorbike. From Lao Cai province, along the national road 4D, visitors will come to Bao Thang district, Lao Cai province. It is far about 100km from the market to Lao Cai city to the northeast, so it’s a 2 hour drive. Down the 4D Highway from Lao Cai City, tourists will reach Phong Nien commune, Bao Thang district, Lao Cai province. Keeping driving along 153 Provincial Highway through Bac Ha town, tourists will set foot in Can Cau Market. If you want to go with public transport, the buses only run at 08:00 or 09:00, that likely means an overnight stay. The bus back from Can Cau to Bac Ha is at 14:00. 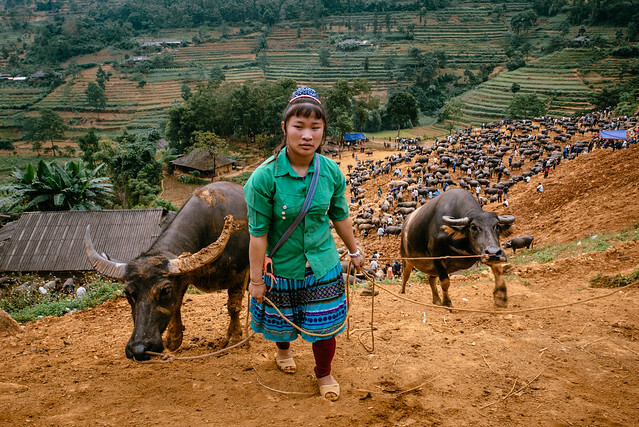 From Sapa, you have to spent a 3 hours drive. So you really have to wake up early and spend a lot of time in the road, so this option it’s not the most recommended. 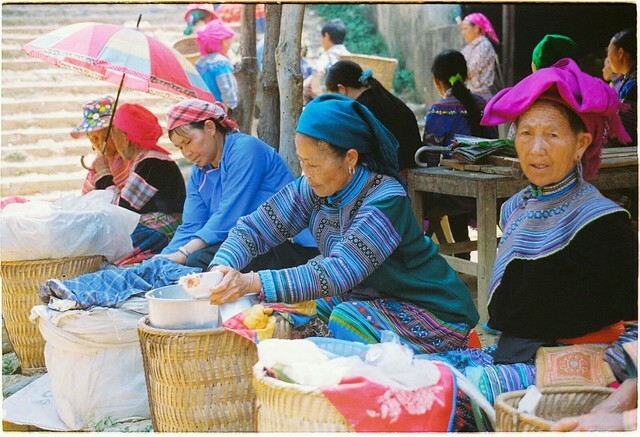 One good option, could be travel this market, make an overnigth in Bac Ha and visit Bac Ha Market on Sunday. As you would expect, the market starts early, around 7:30 am, and closes in the early afternoon so you will want to make an early start to get the most out of the experience. By 9 am, the market is crammed to capacity. It’s lively and surprisingly fun. 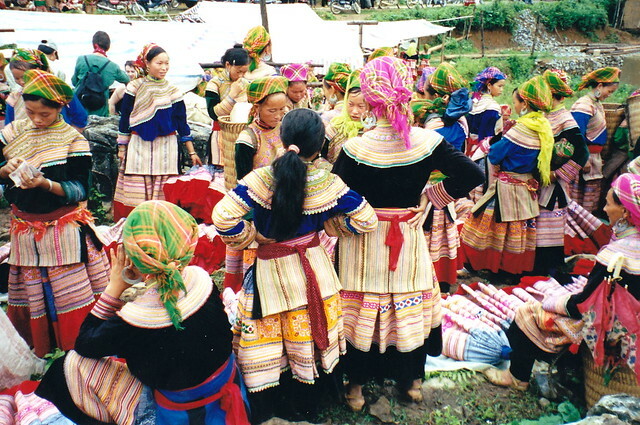 The locals are mostly of the Flower Hmong minority group. You can’t miss them and their traditional costume of green checked headdress and multi-colored, meticiculosly stitched and layered garments are simply stunning.